The Spring Fashion Brunch – a unique and vibrant event showcasing a luxury fashion show, hand selected couture fashion and jewellery designers combined with the perfect afternoon tea experience, is set to take place on Sunday 14th April at the Hilton London Kensington Hotel. The event will be hosted by presenter Anila Dhami and actor Ameet Chana, while popular British Asian personalities such as singer Tasha Tah, presenters Sonali Shah and Suzi Mann, actress Deana Uppal and comedian Shazia Mirza will take to the catwalk, in aid of Barnardo’s. 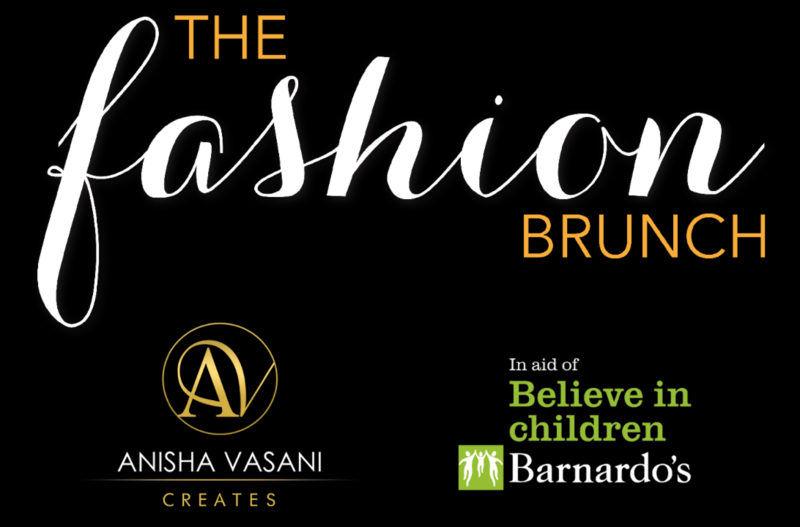 With a strong focus on family for this event, The Spring Fashion Brunch will celebrate Mother’s Day with the support of Barnardo’s ambassadors and British Asian VIPs ready to walk the ramp with their children in tow in a special children’s catwalk show. Barnardo’s, protect, support and nurture the UK’s most vulnerable children and all proceeds raised will be donated to the charity to support young people in the care system. The Spring Fashion Brunch is proud to support Barnardo’s, a leading social welfare and charity organisation in the U.K making an impact by protecting children, supporting young people and helping families. For more information, please visit www.barnardos.org.uk. The Spring Fashion Brunch takes place on Sunday 14th April at the Hilton London Kensington Hotel from 11 am – 6 pm.